After LDP there is probably more information on this site about Thatch than anything else. Thatch production by grass plants is a natural process. 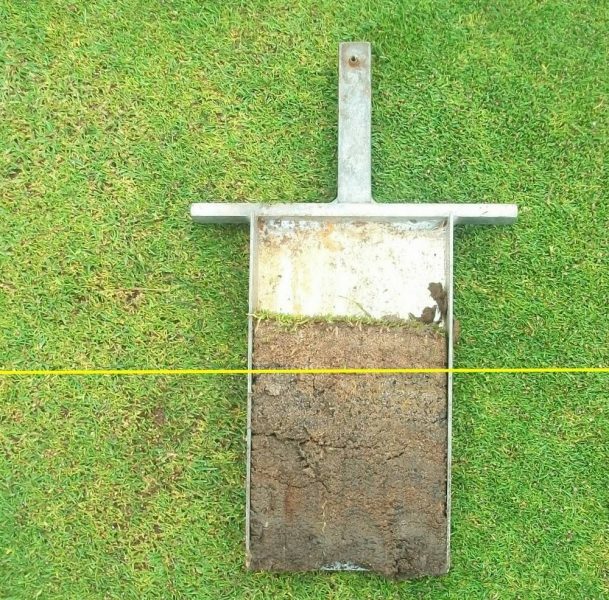 Thatch is the layer at the very top of the green surface between the green grass blades and the brown soil beneath. Simply put; the bigger the distance between the green and the brown, the bigger a problem you have. The denser and wetter and smellier the thatch layer between the green and the brown the more likely it is that you will be suffering other problems like fungal disease, slime, algae, moss, weeds, localised dry patch, bumpy surface, lack of green speed, lack of green consistency, grass growth problems, recovery problems, skinned heads, slippery surface and loss of grass cover. Thatch is not an isolated problem; it usually comes along with some or all of the above. To get a more thorough understanding of the processes going on here, have a look at this article. For more detailed information on thatch, there are more articles here. Performance Bowling Greens eBook is here.